Are you interested in judging the 2018 Green Chile Cheeseburger Smackdown? We are currently accepting applications to be considered for a secret panel of judges that will determine the seven finalists that will move on to the Smackdown on September 8, 2018. You asked for it! 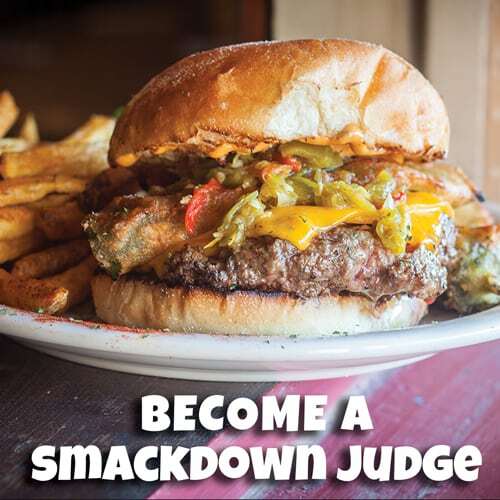 Now is your opportunity to be a Smackdown Judge and determine the seven finalists moving on to the final round of the Green Chile Cheeseburger Smackdown. You will travel to all 15 contender restaurants from across the state and score all 15 burgers between July 1 and August 3. You must remain anonymous. You cannot revel you are a judge to the restaurants or publicly on social media. You will not be biased towards any chef/restaurant you may know and will not use favoritism to determine finalists. And of course bragging rights. After judging is completed, you can spread the news far and wide. Sign up now, submissions close June 16. If selected, you will be notified on June 18.